Adobe's acrobat is a popular editor that allows PDF document editing. However Adobe's monthly subscription price makes it harder for the solo user to purchase it. For small business the plans from Adobe's Cloud solution also adds up more in expenses. In such case, you can find Foxit's PhantomPDF as an alternative to the Adobe Acrobat. Here are some of the features of the PhantomPDF. Foxit's PhantomPDF makes use of the Microsoft's Ribbon UI. This makes editing documents and conversion easier. It's easy to teach anyone how to use the editor. Most of the features for the editor are easily accessible through the ribbon. Finding help through the documentation is possible from the top search bar. And you can easily get help on how to use the editor. Alternatively you can make use of the official help support system. There are also plenty of videos on YouTube that you can use for document editing and conversion. As far as learning this program is concerned, you'd find PhantomPDF much easier to use than Adobe. One of the important use of this editor is the form creation. If you want to create a PDF document that accepts the data from users then this editor can be of help to you. When you open the document in edit mode, it gives you options to use for the form. You can add the text labels and the edit text field. View for the edit text is not immediately available. In order for that to be viewable, you have to view the document in read only mode. Another option is to use the existing Word document. You can make use of the Word document in edit mode. Here you can highlight the lines where you want to keep the edit text option. Once you are done editing the document, you can export the PDF with new name. Alternative save the existing document if it's open in PDF mode. When you are editing the documents, often some of the engines revert to system fonts. However that seems to be not the case with the PhantomPDF. This support is not limited to English but also international language fonts. Editing the existing text is very easy and painless with the PhantomPDF. You'd find it easier to edit the document with PhantomPDF. Using font on freehand drawing tool may be also another issue that you'd face. This will also force you to download the document font on your system for better document editing experience. PhantomPDF by default gives you all the tools required for the document editing. And this you can use for creating the templates. Though by default it doesn't have any specific template creation wizard. But it does allow you to store the template. The process may be a little complicated for the user as there is no hand-holding wizard for those who are new to the template creation. You can export the data from the existing PDF and make the new document or template. This is one reason many document creators make use of this editor. The error reporting feature on your document can be really useful. The document merge and split support is a bit limited. You need to make use of some dedicated program if you have complex and large number of files inside your document. It can merge small number of files painlessly. You can also split the PDF files as per your requirement. It does not have any corruption or export issues. The engine for split and merging operation is very responsive. It makes such operations lot easier compared to other editors in the market. PDF security is in demand these days. And PhantomPDF can make use of the encryption and decryption of the document. It allows you to add the password to the document. This password gets stored inside the document. And when you use the right password, the document gets decrypted. Editor also works with Docusign system and delivers the digital signature for the documents. You can also embed the network action for the signatures allowing access to the signed users. These are more or less enterprise level features, but they can be of use to the small business users too. Most of the issues that you'd notice are related to the OCR output as the engine for the OCR input is not as accurate as it's supposed to be. You'd easily notice that with the output for some of the scanned documents. Also you'd find the language support very limited. Though you'd find that some of the features are enough for the normal tasks related to the everyday PDF usage. However if your work involves the complex usage, you'd end up with some poor output. And that's where you'd require another program instead of PhantomPDF. Alternative programs such as AbbyFineReader and PDFNitro can be of use in such context. As these programs allow you to work with much better quality of the OCR output. PhantomPDF also has limitations when it comes to document export. Currently it can export the PDF to Word and Excel. And the form of export is not that high quality. In fact you'd have to edit a lot of it's content after export. The default IDE also does not export the PDF into epub format. This limits it's use for the ebook document creation. You may find the same functionality and much better output being offered by Adobe. However the amount of money it requires every month for document creation may not help with the budget of small business users. In that case you'd find PhantomPDF affordable. And the type of quality you get for simple documents is more than enough to get you started. In short I'd not recommend Adobe CC's PDF solutions if you are cash strapped. Compared to Adobe Acrobat DC and few other expensive programs, you are getting cost effective PDF editing and document security features with PhantomPDF. 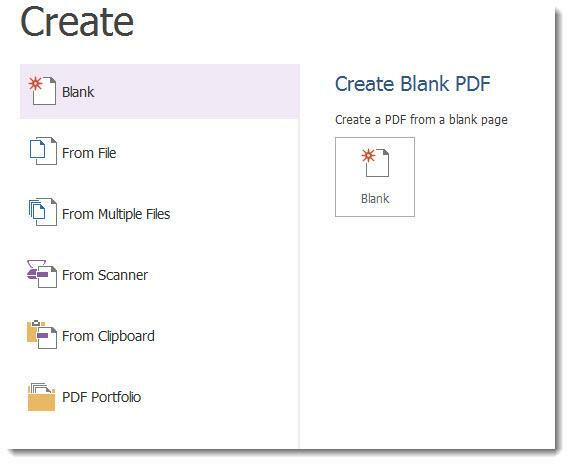 PhantomPDF can be handy editor for those who like to work on simple document creation tasks. Most of the virtual assistants and the data entry professionals can make use of this editor for their everyday operations. However, for those working with complex data and better OCR functionality may need to invest in another program.